One of the biggest investments you can make on your commercial building is a new roof. Therefore, you need to know how to protect your roof from punctures so that it can last for as long as possible. Roof punctures produce holes in roofing materials and are easier to hide than other kinds of roofing damage. In most cases, punctures cut through roof membranes and protective felt. 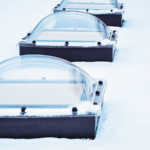 As a result, moisture leaks into roof components. Punctures can occur at almost any time. However, they usually take place when the underlayments of a roof are exposed. Here are some of the common causes of roof membrane punctures, along with how to prevent this problem. The main cause of roof punctures is roof traffic. For example, when service personnel who work on top of your building, such as satellite technicians, plumbers and others, aren’t careful with their tools, roof punctures can easily happen. Tools that are dropped on a roof, either at fast or slow speeds, can cause blunt or sharp punctures. Painters and repair specialists sometimes create punctures when walking on roofs. Smokers walking on a roof can damage a roof. What’s more, people who wash skylights on a rooftop can puncture a roof membrane. Inclement weather and falling debris, including tree limbs, are common causes of roof punctures. Intense winds from storms can fling trash, branches and other items on the surface of a roof, creating holes in a roof membrane. When this happens during strong rainstorms, there’s the risk for major roof leakage that can severely damage the interiors of homes and buildings. Wild animals can climb on rooftops, causing damage, and birds can peck on a roof membrane, leaving scratches. Some of the main culprits include squirrels, woodpeckers, ravens and crows, who feast off particular kinds of insulation. Once crows have torn through the coating of a roof membrane, they often return to the same spot, besides peck at new holes. Sometimes, bats become ensnared in roof membranes, causing damage. In some cases, punctures can occur when people step on gravel that gets lodged into a roof membrane. Loose screws or small stones can also be driven into a roof membrane, puncturing it. There are several ways that you can prevent roof punctures. Carefully screen repair personnel working on your roof. 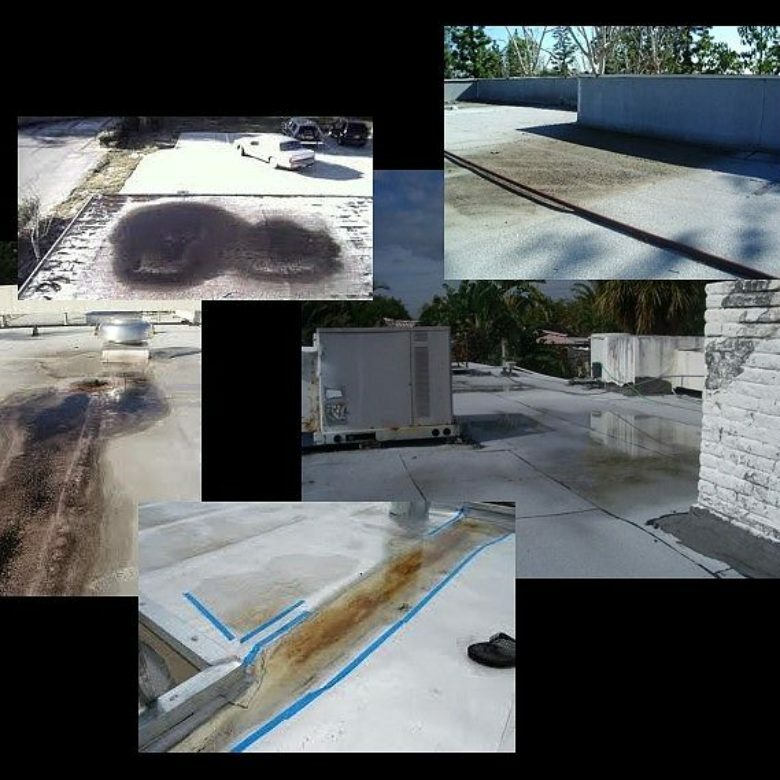 Consider that some cleaning specialists and repair technicians lack the needed experience and training on how to correctly walk and work on a roof without puncturing a membrane. It’s especially critical to only hire highly trained and experienced people when heavy items are used on a roof. Place warning stickers on mechanical units and on roof hatch access. Warn roof workers that they’re responsible if they fail to acknowledge these signs. Instruct maintenance workers on how they can prevent causing roof damage, in addition to educating them on what to do in case of an accident. Trim tree limbs and vegetation around your building as this can help in preventing wind-borne debris from hitting your roof. Install walkway pads on areas of your roof where there’s the most foot traffic and insist that everyone working on your roof use them. Moreover, place them around mechanical equipment. Use a log sheet for tracking contractors and service personnel who work on your roof. Remove all hazards that could damage your roof and secure any loose equipment. Select boards that are made to resist punctures. Undetected tears, scrapes and punctures can result in a wet roof membrane and soggy insulation, in addition to causing leaks. Even worse, it can eventually lead to a rotten or rusted structural deck. Flat roofs are more vulnerable to punctures than sloped roofs. 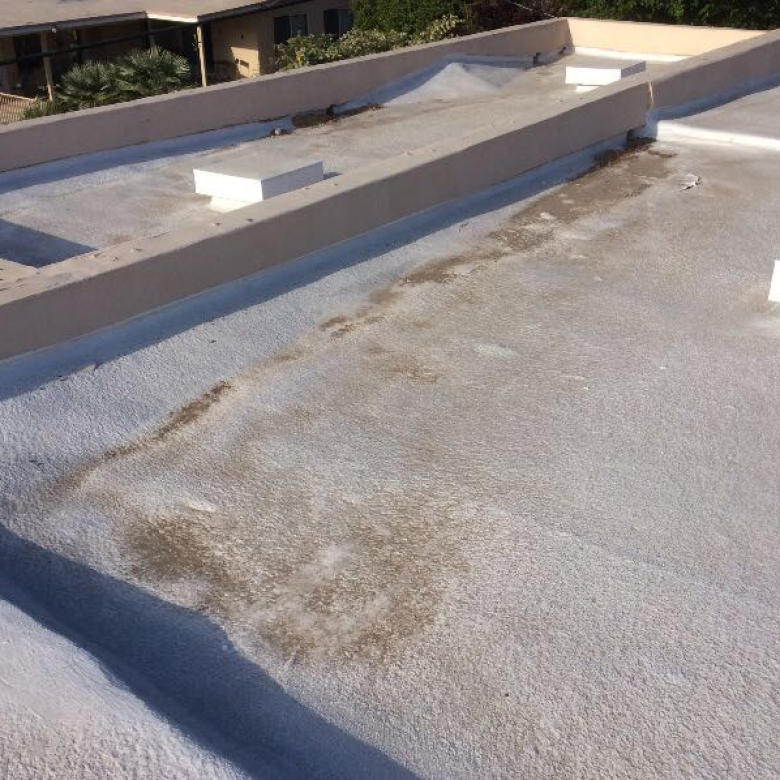 Single-ply roof membranes are more at risk than other types. This is because they lack the hard-outer surface that’s typically contained in multi-ply roofs. 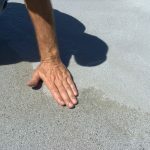 Ponding water, also called standing water, is another common problem that occurs on flat roofs. If you have a flat roof, you need to know how to protect it from ponding water, which is water that remains on a roof after 48 hours following rainfall. Please contact us at RoofSlope and find out more about our highly effective product formulated to fill in low spots on flat roofs.